Pack your tackle, spool the line, and get to the Pacific Northwest ASAP. There’s fish in them waters and, at least for now, there’s no weight or catch limit. That’s because last weekend, the Washington Department of Fish and Wildlife (WDFW) rallied the public to harvest as many Atlantic salmon as they could catch. You read that right. 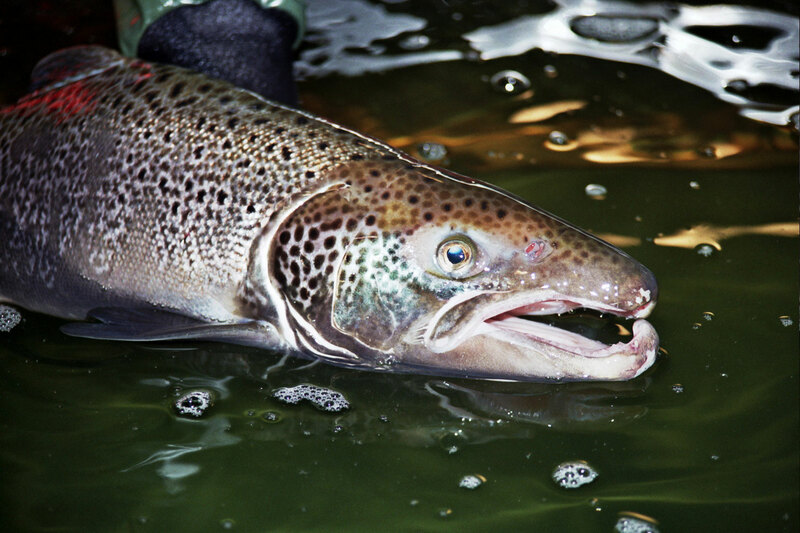 Washington’s Fish and Wildlife wants anglers to catch Atlantic salmon in the Pacific Ocean. That’s because last weekend a “pen failure” at the Cooke Aquaculture salmon farm released thousands of the non-native fish into the sea. Managers at the farm don’t know the cause of the breach, but they estimate 4,000 to 5,000 of the pen’s fish escaped. The jailbreak occurred at Cypress Island along the Rosario Strait near the San Jaun Islands. Officials said there’s no record of crossbreeding or disease transfer among Atlantic or Pacific salmon. But there is a threat of imbalance. The sudden influx of thousands of salmon into the habitat means greater competition for available food and aquatic resources. It’s for that reason that WDFW released this Atlantic salmon identification guide and called for all licensed anglers to fish as many as they can. Limited to marine and freshwater areas already open to salmon and trout fishing. If you meet those criteria, then get a license and get to Cypress Island. If anyone asks where you are, tell them the truth: Gone Fishin’.